Do you feel stuck in your choices? Do your conversations feel like tug of war? Maybe there are too many options, leaving you feeling overwhelmed and paralyzed. Or maybe none of the options are appealing resulting in lack of clarity or indecision. If you’re feeling stuck in your choices, sometimes play can help reveal new ideas. That’s why I created the Momentum Maker, a new spin on a nostalgic tool. 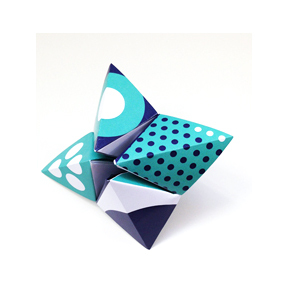 Some people call them fortune tellers, others know them as cootie catchers. This nifty tool is designed to create dialogue, either with your team, or with yourself when you’re unsure how to move forward. Use this magical conversation tool to get your team talking, open up new possibilities, and get out of procrastination mode. Slide your thumb and forefingers into the pockets and let the Momentum Maker guide you toward your next move. Grab your FREE Momentum Maker today. I’ll also keep you updated on workshops and new tools.